This FM8 tutorial is all about making a classic video game sound that contains layers of familiar instruments from the 1980’s. Incredibly simple to make and very familiar sounding, this catchy little sound is ideal for not only throwback video game development, which is really big right now in the mobile gaming market. It is also perfect for adding a fan favorite moment in a wide range of current popular music styles. Some well-known artists have dropped sounds like this one into their songs to add something that is unexpected and universally loved. Starting with the FM Matrix, we will use all of the operators available. 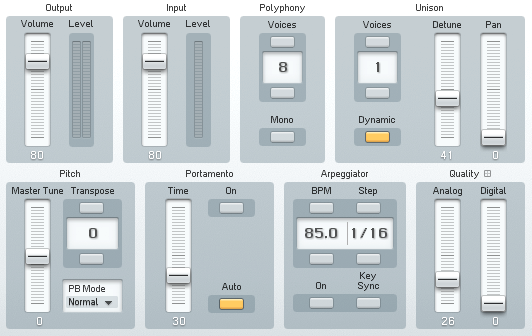 The idea is to layer similar sounds that will essentially produce the classic FM style video game sound of the 80’s. To do this we will need basic waves, ranging between square and sine. Also, each one will need to be designed individually. With these types of sounds if is difficult to gauge exactly what each is doing unless you solo them. 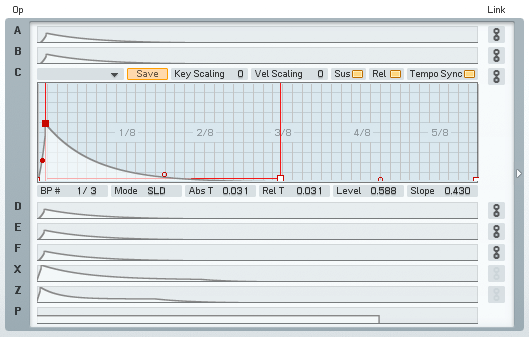 As you can see in the image below, the volume levels are fairly balanced and everything is flowing through a small amount of white noise and a filter before hitting the main output. There is very little routing here, only three sounds have some feedback. Apart from that, there is no influence from any carriers. The next step is to set up the envelopes, and in this case we want all of the main oscillators to have same delivery to create symmetry. The X and Y Operators are the only envelopes not linked, as you can see. A total of four effects have been added to help shape the sound. And as you begin applying them, you can hear the sound kind of come into focus for you. Each one makes a significant difference, but none of them are drastic by any means. The last stop in this session is the Master window. Here we make a couple of minute adjustments before calling it quits. A little extra Detuning and Analog effects help to bring this sound back in time. That’s our sound! A very simple process. Now what you do with it is up to you! It does well with a very wide range of processing, from simple delay and echo to more complex saturation and even guitar pedal experimentation. The audio sample below is the sound as it is in FM8, no outside processing has taken place. See if you can recognize the tune!